bedroom redo for our next place! Jeff and I are in the process of debating whether or not we should move to a new place this year or stay and save ourselves the pain and misery of the Boston rental market. If you've rented here, maybe you know the mild anxiety and hopelessness that comes along with looking for a new place--searching apartment after apartment on Craigslist and Trulia, HotPads, Zillow, whatever you can and realizing that even the most decrepit units cost an arm and a leg JUST TO SIGN THE LEASE! Surely there has to be a better way to do this, right? Why's it so hard to find a cute little guesthouse cottage in Harvard Square that's sitting in someone's backyard covered in ivy? That's all I ask for. So, if we do end up staying here another year, I've vowed to spruce things up a bit more and experiment. Some parts of our place still feel a little bit "temporary" and not fully fleshed out to their potential since we moved here almost two years ago. I love my little office and our living room, but this room could use some work! Although our bedroom is a mere 9 feet x 12 feet (I believe), it's the perfect size for us. It's cute, but a little on the dark side and only has one window. There's a door to the porch where the other apartments above us have a nice big window (as you can see here). This doesn't bother me too much because A) that back porch is heaven in the warmer months, B) it's super handy to have that entrance and C) there's a storm door, so sometimes I open it and let all the lovely light shine in! Optional window scenario. I dig it. I love the idea of this quirky little setup for our current room or a new one. 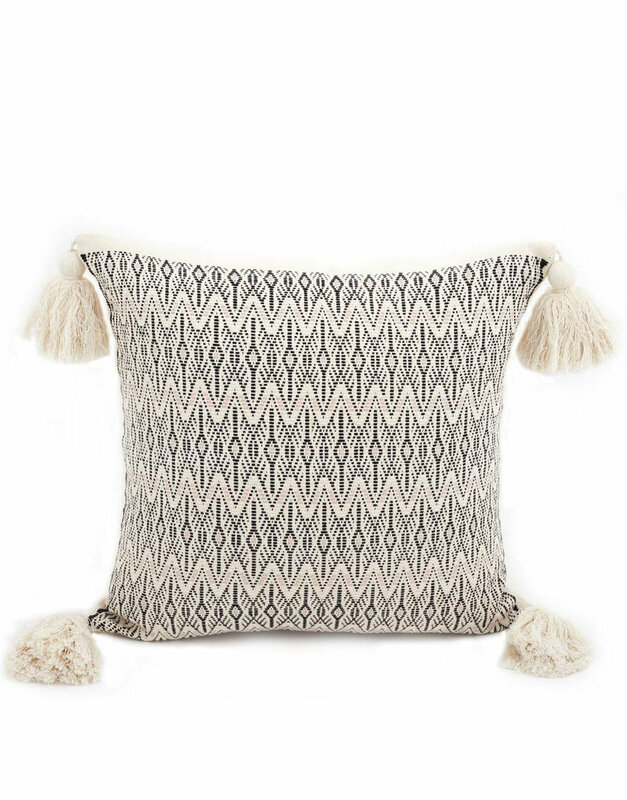 Obsessed with the portrait of prime Bill (late prime... early prime would be Caddyshack), the ikat and kilim textiles, the super soft blush in the shams in addition to our simple bedding. We already have an old textured white duvet from west elm and the best sheets in the world. 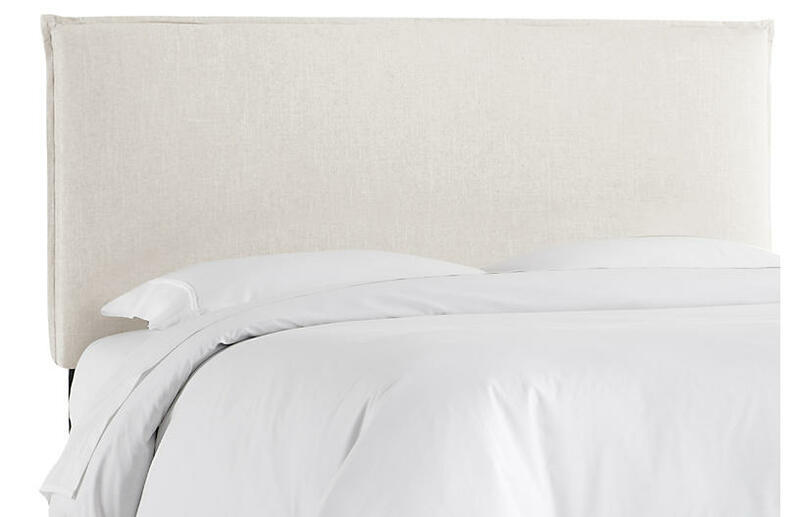 I love a good simple linen headboard and textured white lamps. I've been eyeing these vases from Anthro for awhile now - how adorable are these guys?! A touch of gold, rattan and a navy dresser--some aspects we don't necessarily have in our place now but they just work and feel right to me. The best part about having such an awkward tiny room is that it's almost certain that anything I put in here will work in a new place. I find it hard to believe that we'll get a space smaller than this next time around, but stranger things have happened!